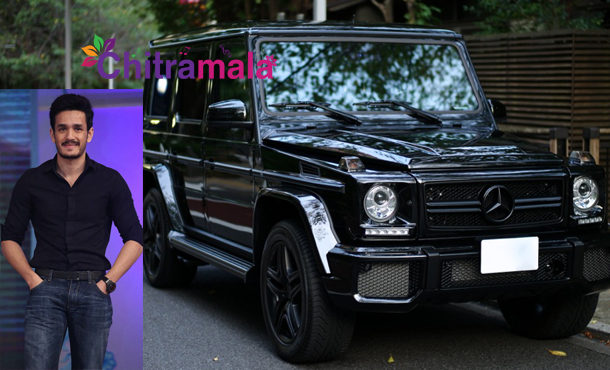 Akkineni scion Akhil, who failed to make an impact with his debut film, seems to be in the super happy mood after gifting himself a G -63 model Mercedes-Benz Car worth Rs. 2.6 crore, of black color, for the New Year. On film front, after the debacle of Akhil, he has not yet signed his second movie. It is heard that he is in confusion to do which genre. He wants to be the mass star but the mass film failed him in his first attempt. Rumor is that he is planning to remake ‘Yeh Jawani Hai Deewani’ starring Ranbir Kapoor and Deepika Padukone. Rumor also is that mega girl Niharika Konidela might romance him in this film. Another buzz is that Akhil will romance with Bollywood actress Alia Bhatt in his second film. We have to wait for an official announcement though.